When prospective investors decide to make an alternative investment, the documentation process is often overwhelming. Paper-based forms require duplicated information in several different places. 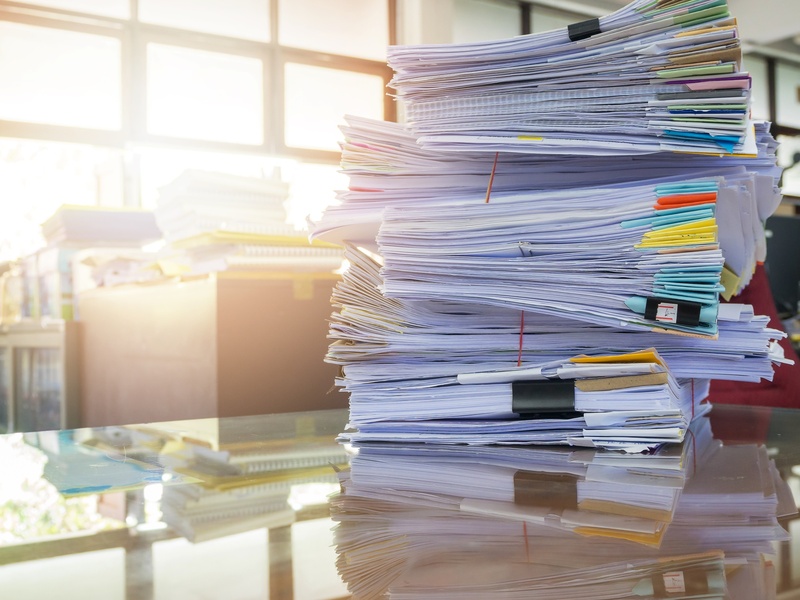 Investors must carefully scan dozens of pages of documents to ensure they accurately entered all the required data and fulfilled every information request. This is made more complicated when entire sections of documents may not apply to certain types of investors, and readers are left to decipher the forms on their own. This process leads to a widespread issue with not in good order (NIGO) documents in the securities industry. According to one study, about 25 to 30 percent of new account applications for financial services are NIGO, and the financial services firm must reject the application or follow up to correct or clarify any errors. Similarly, an issuer or broker-dealer’s resolution of NIGO subscription documents in processing alternative investments takes a significant amount of time. Once errors are identified, a client services team member reaches out to the investor to get correct the documents, and the prospective investor will then have to print, scan, and re-send the documents to the issuer or to the broker-dealer. Frequently, these submissions and re-submissions still occur through the mail or delivery service. This back and forth clearly brings with it an additional cost of time and money to the investor, issuer, and broker-dealer. Thankfully, modernized processing is here, now. Automated transaction processing technology reduces error probability by automatically populating documents, meaning the investor only needs to input their information once. Rather than investors visually scanning documents for blank spaces, a user-friendly workflow collects information and automatically provides the necessary data to the end user. A technology flow can also dynamically adapt the information it requests from investors to gather exactly what they need to provide to successfully submit a subscription and omit fields the investor does not need to enter. Additionally, business rules in the process ensure that the correct type of information is provided in a given field. For example, a rule could ensure that the dollar amount entered corresponds with the number of shares the person want to purchase or that a mailing address is one recognized by the U.S. postal service. There is not yet a significant amount of literature available on statistical benefit of technology use in the securities industry; however, one can see evidence of the successful use of technology to reduce NIGO rates in the insurance industry. NIGO rates for insurance can reach up to 75 to 80 percent. The Harvard Business Review found that reducing that rate can lead to significant business gain because “a well-designed digitization program can deliver up to 65 percent in cost reduction and a 90 percent reduction in turnaround time on key insurance processes.” Not to mention that these reduction numbers do not capture the customer service and efficiency benefits of having a streamlined process for your customers and employees as well as a more secure and auditable subscription process. Some securities industry participants and their advisors are hesitant about the legality of electronically-facilitated transactions. The North American Securities Administrators Association has set forth a statement of policy specifically addressing its suggested requirements to administer securities sales online. The NASAA policy also incorporates and supplements federal and uniform acts regarding electronic signatures. While the NASAA policy is not itself binding, states are adopting these standards into their respective securities regulations. Regulators are accepting that automation is coming and that automated transactions are allowed if the technology and processes meet basic legal requirements. At WealthForge, we have seen the efficiency that automated transaction processing has brought to our own clients. The NIGO rate for our issuer clients who go through the paper subscription process tracks the industry standard at 30 percent. That error rate is drastically reduced to as low as 2-5 percent for issuers utilizing WealthForge’s online subscription process. * By using an effective technology-enabled system, a securities issuer or broker-dealer can streamline the process in a legally acceptable manner, provide a more secure and delightful experience for all users, as well as save them time and money. * Estimated internal research figure. Past results are not a guarantee of future performance. Nicole is part of the legal team at WealthForge where she manages GDPR cybersecurity compliance and handles tasks ranging from corporate governance to intellectual property management. Nicole is currently a law student at the University of Richmond where she is researching securities litigation and regulations.